R1827-XO is rated 5.0 out of 5 by 1. Rated 5 out of 5 by JB58 from No issues I had this installed as part of a new shower head and jet combo, by a licensed plumber. He had no issues on the install and it works fine. Thank you for your question. If you are facing the Delta Faucet model # R1827-XO, the hot valve is on the left and the cold valve is on the right. What is the maximum flow rate (50 psi or 60 psi) of this valve? 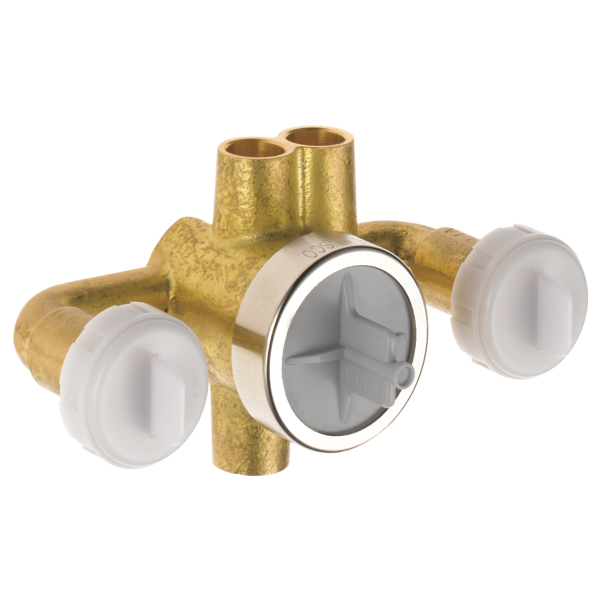 When roughing in this valve, the instructions state that the stringer is to be 2.75&quot; from finished wall, this would put the valve inset into the wall by .25&quot; (the valve is 2.5&quot; deep). Is this correct? Would like to confirm before closing the wall up.